My experience from first contact through closure of sale was excellent. Allison Romine is "on top" of everything. She calls back quickly or texts and finds answers to questions expeditiously. I am particularly blessed by her honesty and desire to find the best house to fit our needs. She makes herself available evenings and week-ends. Since I lived out of town, she crawled the house with the inspector for me, then let me know the results immediately. Allison met with the contractor to evaluate repairs and let me know her impressions of what could be done. This is the 5th house I have purchased and she surpassed any previous realtor. If all realtors rose to Allison's professionalism, the occupation would have a better reputation. Your 2014 Top Groups in GCI and Closed Units is indeed an exciting one, and I sincerely congratulate you on this achievement. This extraordinary award definitely reflects your dedication to offering your customers and clients the finest possible service, as well as contributing significantly to the success of your market center team. I know how hard you have worked to reach this goal, and I could not be more proud of you!! Keep up the good work - I'm rooting for you! I am extremely proud of your representation of our Keller Williams belief system and culture within our Oklahoma Region, and I wish you continued success and personal fulfillment! My husband and I just closed on our new home. We couldn't be more excited. We both would like to thank Dan and Janet with Weber Home Team for their expertise and we just really didn't want to pay the extra for Realtors fee, but we are so glad we did. . I promise if you use Dan and Janet you will end up saving money. We could never have pulled this sale off without their assistance. They did not tell us what we wanted to hear, but used their knowledge, wisdom and advise to help steer us to make a good sound decision with our dream home. They had knowledge that we never would have thought about. They work for us day and night and it felt as if we were their only client at the time. They were very dependable, trustworthy and available most anytime we needed to ask them questions. I wanted to thank for the professional service you provided in selling our home. Paying for two households for seven months was a huge burden and we are grateful it is over. I chose the Weber Home Team instead of Realtor's I have personal relationships with because I was looking for a better marketing plan and needed someone willing to tell me exactly what needed to be done to sell the house. Everything you suggested was right on and we are very grateful for your advice and hard work. I would never hesitate to refer you to friends and relatives. We can't thank you enough for what you have done for us over the last couple of weeks. You can't imagine what we have been going through, trying to sell our house from 800 miles away. You have taken quite a load off our minds. I am sure the new owners will be very happy. Thanks again and God bless you! We just wanted to thank you for all the hard work you did for us. We are going to love our new home! Thank you too for the beautiful gift! We truly appreciate all you did for us. We just wanted to say a special thank you for all that you did for us. You were great, we could not have asked for more efficient and organized Realtors to work with and we consider meeting you the way we did and when we did a blessing for sure. You both made the buying and selling process so much easier than we ever expected it to be. You were also great in helping us to find the best financing which was a wonderful help! You will be most highly recommended by us to everyone we know. We are enjoying our new home sooo much, it is just what we were looking for and we never dreamed that when we put our house on the market on November 28th we would be in a new home by January 12th. SO WE SAY "THANK YOU!!" for your patience with us and for being so knowledgeable in all areas. You will be most highly recommended to everyone we know and who knows, we may be doing more business with you again in the future. Take care and God bless you both! We just wanted to send you a special thank you for all that you did for us. We most of all appreciate your patience with us and your knowledge in all the questions we threw at you. You were great in contacting us in plenty of time regarding inspections, appraisals and all that other stuff!! You always had a friendly smiling voice every time we spoke with you on the phone. So keep up the good work you are doing. We know you are a very big help to Dan and Janet. Thank you so much for making everything run as smooth as possible on selling one house and buying a new one! Thank you for the wedding gift, too! We will apply the gift card to our new house! We are both so excited about all the changes happening in our lives right now! Thank you so much to you & Dan, for everything you guys have done for us in getting this house sold! Thank you for helping us buy and sell our first home! We appreciate Your guidance through all of it! Thank you for your patience with all of our questions! 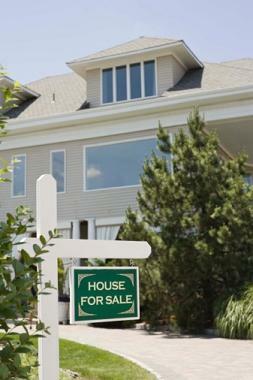 You made it an easy process both buying and selling! We could not be more thankful for the experience we had with Maleah at Keller Williams in buying our first home. She continually went above and beyond her job description, shared her knowledge which empowered us to make educated decisions and communicated with us thoroughly through the entire process to ensure we never felt confused or out of the loop. To say I trusted her is an understatement. I feel she genuinely had our best interest at heart from the very beginning. We never felt rushed, forced, or like it was just another house for her to sell. She encouraged us to wait for the home that felt right for us. She far exceeded any expectation we had and would highly recommend her. I have used the Weber Home Team on 3 separate occasions and each time they have been professional, friendly, and helpful. I highly recommend this team to anyone looking to buy or sell!! A great team to work with that always looks out for both Buyers & Sellers. Thank you to Dan Weber and Janet Weber for selling my old house quickly and without hassle. I hate hassle. It took about 10 days to get a full price offer. Give these guys a chance to work for you! When we were looking to buy our first house we called around to find a realtor and no one would answer the phone but then we came across Dan and Janet and they answered their phone & they are great people to work with. They listen to what you want and give you great advice. 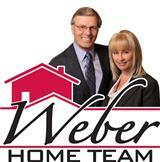 Every home that we have purchased since then we have used Dan and Janet Weber. Their staff is amazing too. Everything about their team is amazing. Maleah is the best! We found her working an open house. We had been to many and she was the only one who asked for the sale. She was very patient with us. We will definitely use her again. They are currently my listing agent and couldn't be happier! They are in their element for sure! They are very professional and personable! They also have more patience than ever expected especially with all the delays on my end. I love their code of ethics and morals, the kind of folks that you just can just trust! I'm so glad God put them in our path to be really taken care of us. These guys are THE BEST and will go above and beyond for you. They work night and day to make sure you find the perfect home. I usually don't write reviews but this one is well-deserved. Thank you all from the bottom of my heart!